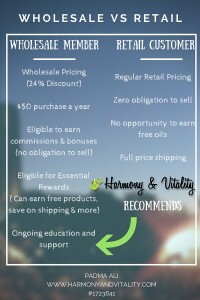 There are 2 ways to order Essential Oils and other products from Young Living. Wholesale: When you buy wholesale, you get 24% off on all available products. There is no obligation to sell or purchase. You are eligible to participate in essential rewards which will help qualify for free products, reduced shipping and much more. Moreover you get community support and education from me and my upline (basically the person who signed me up) As a retail buyer, you pay full price for the products. There is no obligation to sell or purchase. You also don’t get the Starter Kit. There is also no reduced shipping or opportunity to get free products. Here is how you order the oils / any young living product. 1. Go to the YoungLiving website. It will take you their Membership page. You can select Member (for wholesale) or Retail customer (for Retail). Are you not sure about becoming a member? 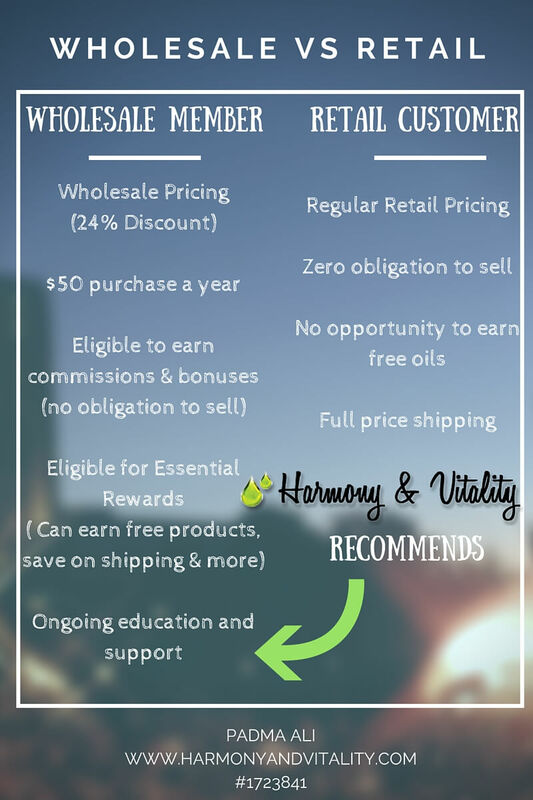 What it really means is that you will get discounted prices for anything you buy from Young Living. And it is a life time membership, meaning once a member, always a member. And this is even if you never buy anything after signing up as a member. It is active for 1 year and after that, all you have to do is call customer service and they will reinstate your membership at no cost. Also, membership and a starter kit go hand in hand. 2. Don’t forget to save your password and pin as this is what you will use for future purposes to log in. 3. Now, select the kit that you want to order. There a few options to chose from in terms of the Starter Kit. My favorite is the Premium Starter Kit. You can read all about it here. Though there are many options, I think the best value for your money comes from the “Premium Starter Kit”. You get 11 different oils, Diffuser, and samples of both oils and Ningxia Red, all worth over $250, for just $160. 4. The Essential Rewards Plan is optional. If you are not ready to sign up for that, you can check the box that says “No, thank you, I plan on enrolling in the Essential Rewards Program later”. 5. Once you agree to the terms and conditions and confirm your order, you are all set. Please feel free to contact me with any questions or concerns you may have. I am here to help.